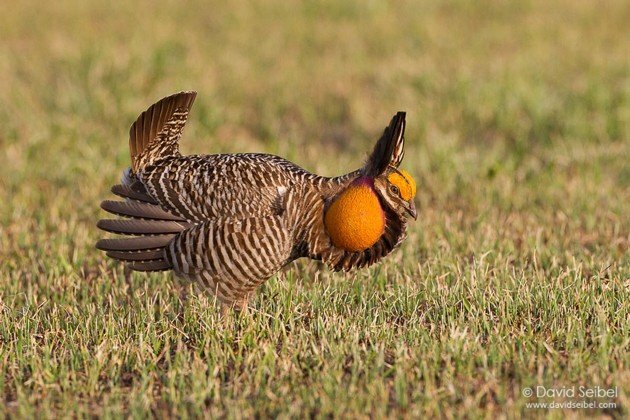 Have you ever seen a Greater Prairie Chicken? If you have, then the odds are that you have seen them on or near a booming ground. I have never seen or met a birder who having spent one morning in a blind at the edge of a booming ground, who has not fallen completely and gloriously in love with these birds. However, this is a watershed moment for this species of bird in the US. This is a moment when birders will need to begin to pay attention to our choices if we want to have certain birds to watch. This moment is about beginning to see in a new way. The ways we have developed since the end of WWII are not working. They are not working for people or wildlife. The human world is on the move to where the money is. Central and South Americans are coming here, Syrians and millions of others are flocking to Europe’s stable nations. But birds and all animals need proper habitat. Cut down the virgin forest and lose the Orangutans or Spotted Owls or Ivory-billed Woodpeckers. 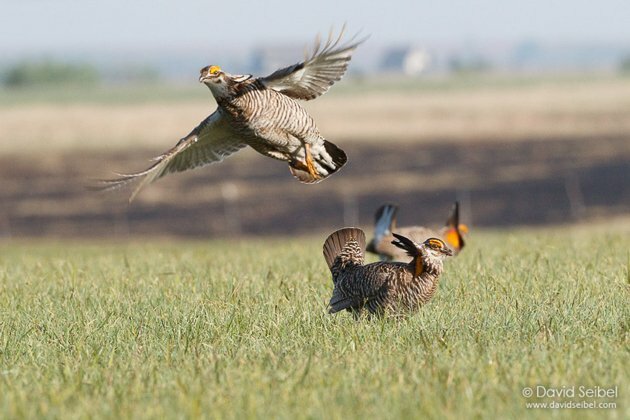 Destroy the native prairies and lose Henslow’s Sparrows, Bobolinks, Upland Sandpipers, and Greater Prairie Chickens. In Abraham Lincoln’s day, Prairie Chickens were an incredibly abundant part of the Illinois prairie landscape. As he traveled the court circuit, he probably flushed hundreds each day from the roadsides. Today in Illinois, 68 males survive. 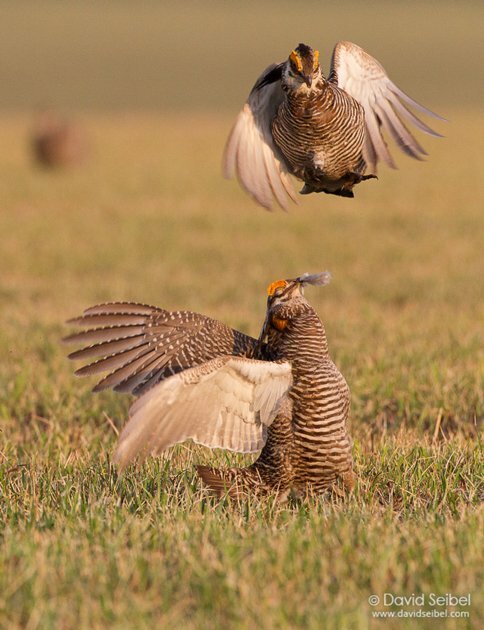 Couple that with the fact that Greater Prairie Chickens are either holding on or in decline in all states except Nebraska and the national picture becomes clear. This species is in trouble. There are no individuals remaining within an area of nearly 56,900 sq miles which once formed the core of the range of this truly magnificent bird, This area where the highest densities were recorded stretched from central and northern Iowa into western Illinois before covering most of northeast Missouri. Estimates are that up to 26 million Greater Prairie Chickens were found in that region during Lincoln’s time. So how is it that nearly everyone who sees them loves Prairie Chickens? Biologically, this is a very significant item. Imagine that we just allowed the destruction of the core of the Cerulean Warbler’s range or perhaps you would prefer that we bulldozed 56,900 square miles of coastline habitat for Piping Plovers? 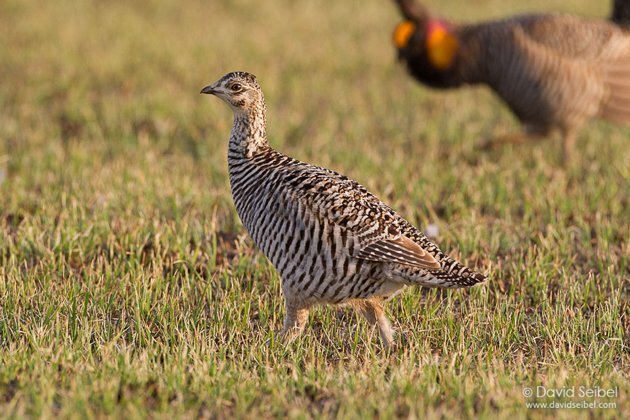 In my lifetime, prairie chickens have declined from stable populations which co-existed with agricultural practices of the day to a species marginalized and exterminated from even those areas. So the question becomes: “Do we care?” Do we care enough to find a reason to save this declining bird? Over the past several years, our company, Birdman Productions has been working on a film about this slow, quiet crisis. Just as with climate change, our everyday choices have important repercussions. As we have gone through this exercise of finding the story, as birders who have realized the importance of conservation, we have paid a great deal of attention to solutions and why we, as modern humans in a society Lincoln would not or barely recognize, need prairies. 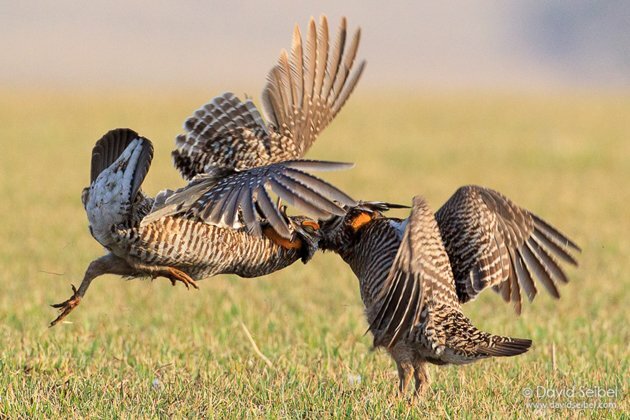 How prairie chickens fit into the modern landscape and why is more clear to us. Soils are most effectively created by tallgrass prairies and build up over thousands of years. To combat the highly erosive practices of our intensive modern agriculture, long-term strategies are needed. Let’s make prairies a big part of that. Greater Prairie Chickens are biologically the perfect “umbrella species” in that saving them saves a myriad of other species under their umbrella. We found that poster child that touches many hearts. Now we are in the final stages of bringing our film, Battle on the Booming Grounds, to a PBS affiliate station near you. We will be traveling getting our film into many film festivals, and speaking to Audubon groups, museums and nature centers. You can be a part of this. Help us get an important part of the funding required by visiting our Indiegogo Campaign. After the film is finished and ready for distribution to 120 million PBS viewers, we will begin our public campaign for prairies and their chickens. 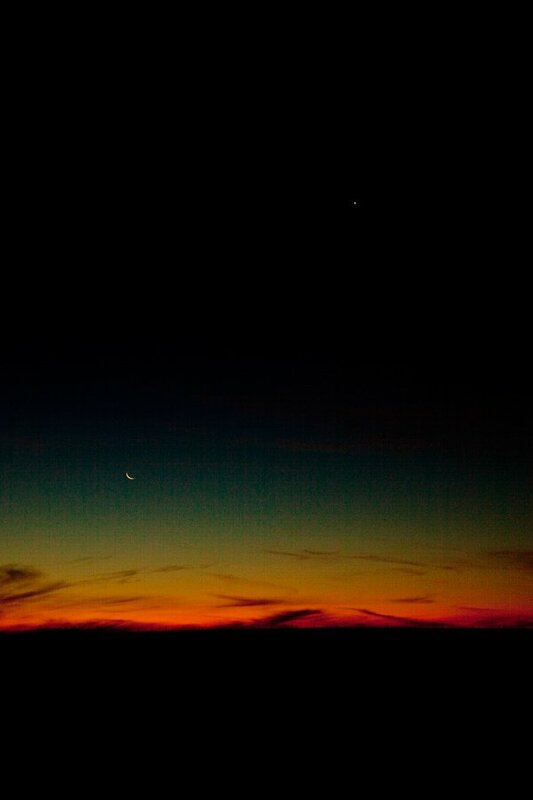 Dawn on the prairie. All photos used with permission of the photographer and author. Thank you for bringing this important conservation issue to the general public. 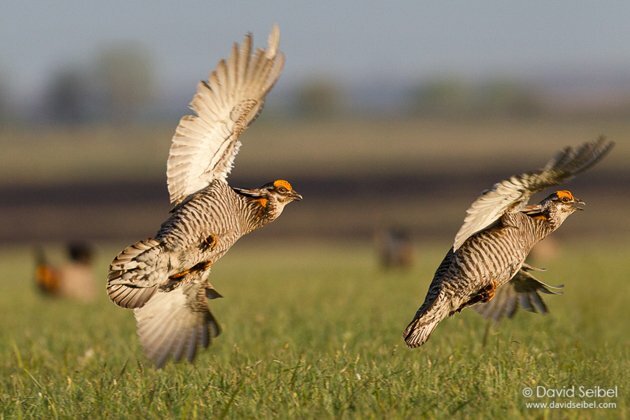 The Greater Prairie Chicken is the “canary in the coal mine” for our prairies and grasslands. Birds and other wild animals are the harbingers of our future on this planet. We ignore them at our own peril. I urge everyone to contribute to the Indiegogo campaign to bring this film to PBS and make people realize that birds and other wild animals are the harbingers of our own future. We ignore the decline of biodiversity and extinction of other species at our own peril. Thank you Larry for your insight! This article points directly at the crisis facing our grassland birds in a constantly changing world. I’ve had the privilege to review Tim’s film ‘Battle on the Booming Grounds’ which does an excellent job highlighting the history and current status of the Greater Prairie Chicken, and it is a beautifully filmed and composed narrative of the history and current status of Prairie Chickens. It is the “Sagebrush Sea” of the Prairie Chicken. I encourage everyone to join the team of supporters on the Indiegogo campaign, and know you played a role in bringing it to a PBS affiliate near you! Where Are You Birding This Third Weekend of September 2015?